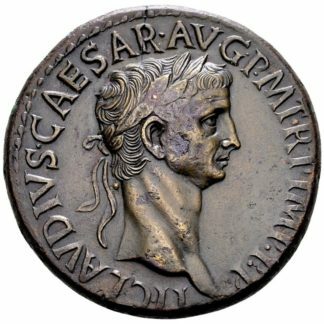 Rome, 254 AD. 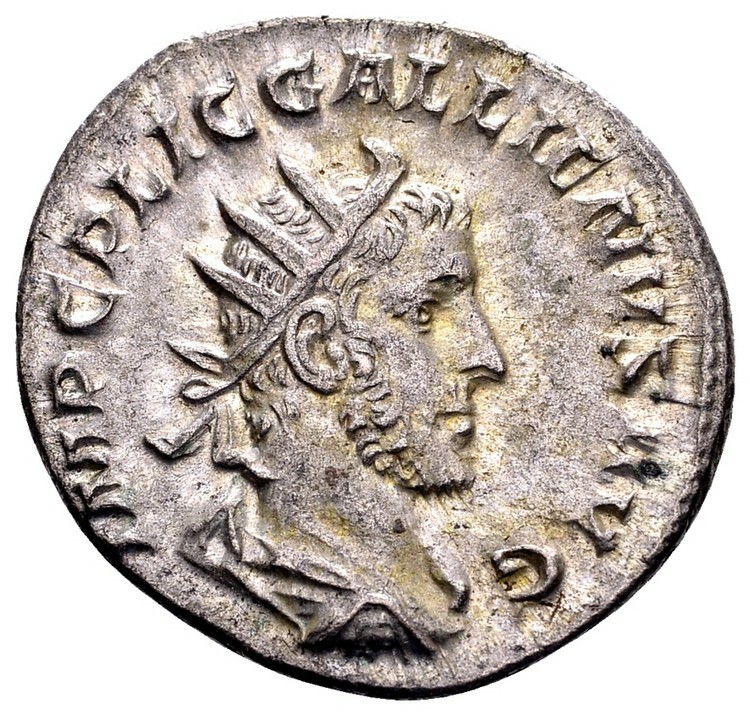 AR antoninianus, 3.63 gr. 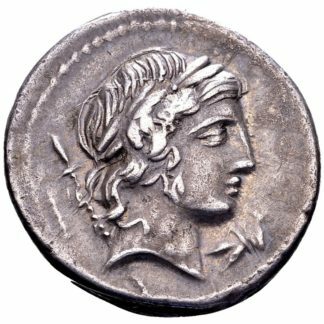 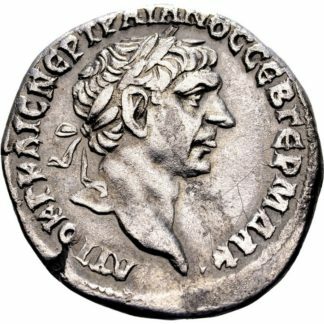 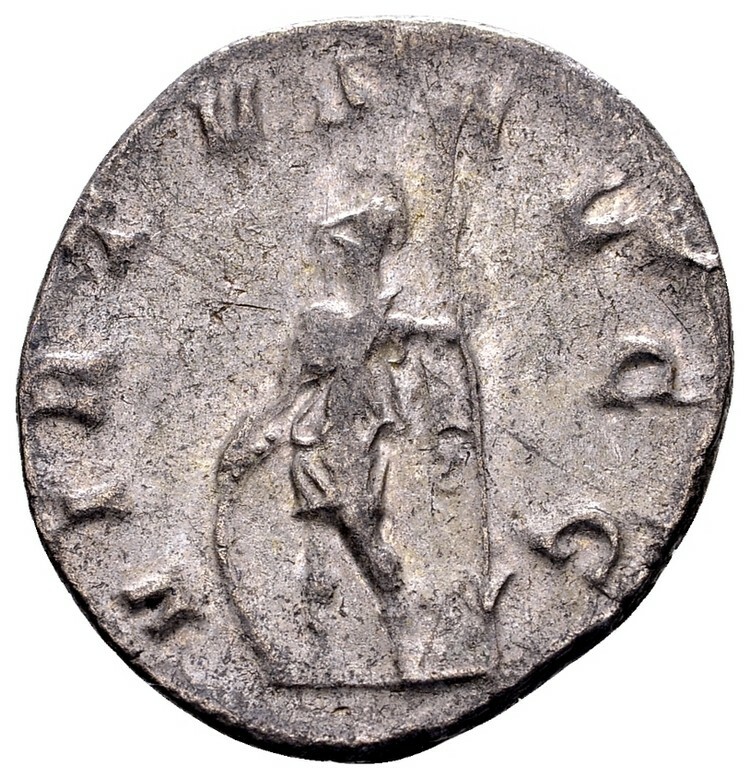 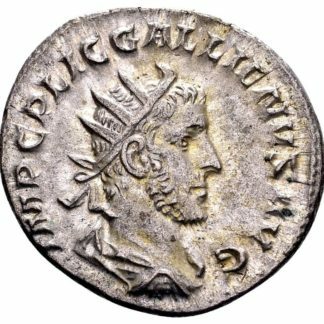 Obv: IMP C P LIC GALLIENUS AUG; radiate and cuirassed bust of Gallienus to the right. Rev: VIRTUS AUGG; soldier standing to the left, resting right hand on shield and holding spear in left.